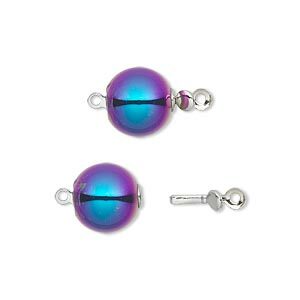 Clasp, tab, Hemalyke (man-made) and nickel-plated brass, rainbow, 10mm round. Sold per pkg of 2. 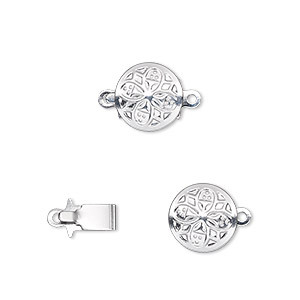 Hemalyke bead-style tab clasps create continuous-look Hemalyke jewelry. Hemalyke is a man-made material with similar chemical properties as natural hematite. 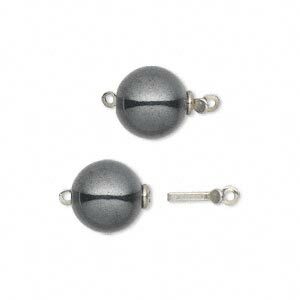 The gunmetal grey bead-style clasp has a silver-color tab that easily inserts into the round bead for a secure hold. 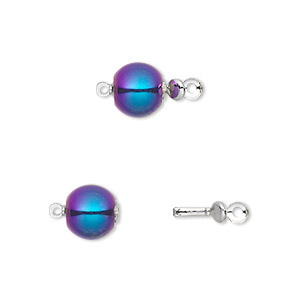 Clasp, tab, Hemalyke (man-made) and nickel-plated brass, rainbow, 8mm round. Sold per pkg of 2. 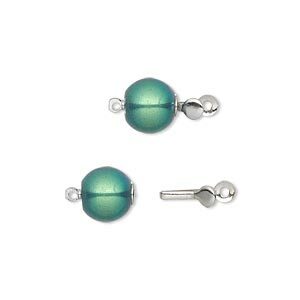 Clasp, tab, Hemalyke (man-made) and nickel-plated brass, magnetic, rainbow, 8mm round. Sold per pkg of 2. 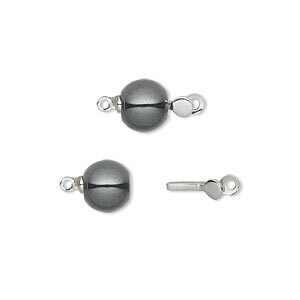 Clasp, tab, Hemalyke (man-made) and nickel-plated brass, 10mm round. Sold per pkg of 2. Clasp, tab, Hemalyke (man-made) and nickel-plated brass, 8mm round. Sold per pkg of 2. 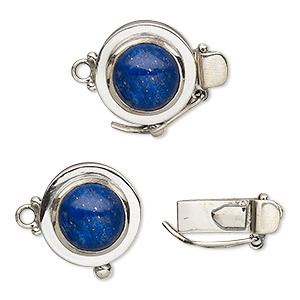 Clasp, tab with safety, lapis lazuli (natural) and sterling silver, 15mm round with 10mm round. Sold individually. 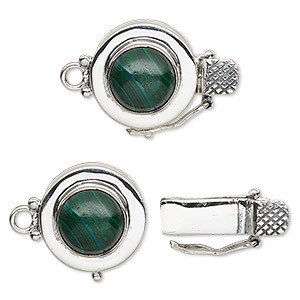 Clasp, tab with safety, malachite (natural) and sterling silver, 15mm round with 10mm round cabochon. Sold individually. Clasp, tab, garnet (natural) and sterling silver, 10mm round with 5mm faceted round. Sold individually. 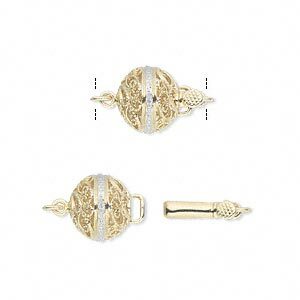 Clasp, tab with safety, diamond (natural) and 14Kt gold, 10mm filigree round with faceted round. Sold individually. 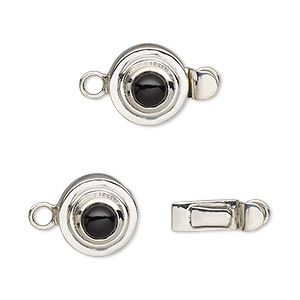 Clasp, tab, black onyx (dyed) and sterling silver, 11mm round with 5mm round. Sold individually.